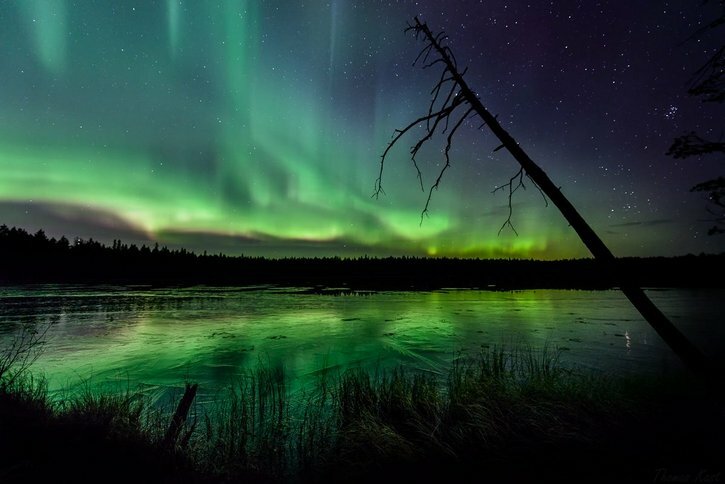 On the heels of the recent storm watch, that did not result in increased Aurora activity, the National Oceanic and Atmospheric Administration (NOAA) Space Weather Prediction Center has issued a 24 hour magnetic storm watch indicating a Coronal Mass Ejection (CME) or a high speed solar wind stream emanating from the Sun may be heading towards Earth. These fast moving charged particles can cause a Northern Lights display. Stronger CMEs can sometimes cause trouble for satellites and create problems with electrical grids by inducing currents as the CME cloud interacts with the magnetic field that surrounds the earth. It is this disturbance of the Earth's magnetic field that causes the Northern Lights. NOAA indicates that satellite orientation irregularities may occur and increased drag on low Earth-orbit satellites is possible. They go on to indicate that power grid fluctuations can occur and high-latitude power systems may experience voltage alarms.